Hello loves! I don't know about you but this week has been crazy for me so far. I'm so tired that I can't even read and comment on blogs and I'm behind with everything. I really wanted to get this post up though, since I had the photos ready for almost a week. Those of you following me on Instagram or Twitter might know that I had to give up my long nails last week. They were too long and unpractical and I also had a bad break. I've been showing you older pictures this past week but now I have to show you the short nails. The length of my nails is gonna fluctuate in the following posts and I hope you will forgive me for that. Enough with the blabber. Here's my USA nail art! I went with a totally unoriginal idea this time and got my inspiration from the American flag or "Star-Spangled Banner". I decided to do this because I just love star designs and can't miss any opportunity to do one. I love the ring finger so much! I think the color and the lovely stars look so good together! As some of you know, the blue rectangle on the flag actually has 50 stars, representing the 50 states of the United States of America. 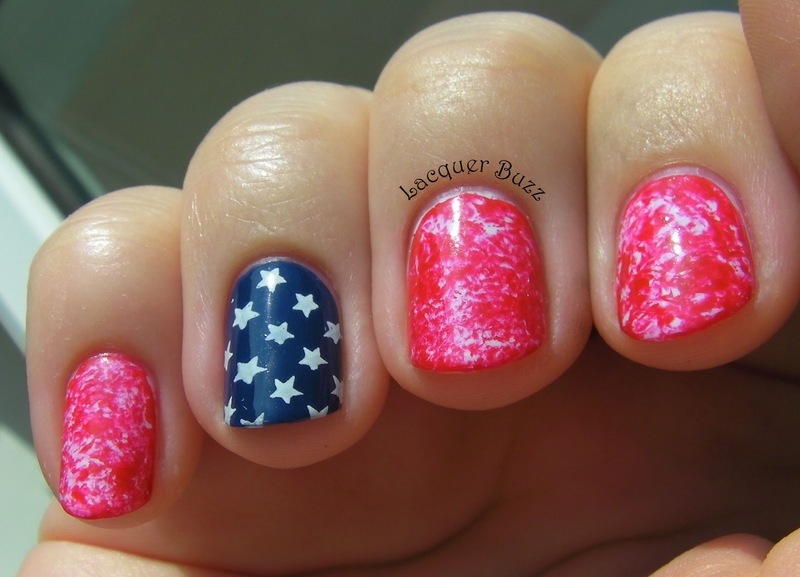 Of course I couldn't fit so many stars on my nail, but there are 13 on there, which coincidentally is the number of stars the first version of the flag, adopted in 1777, had. The 13 red stripes on the white background of the flag represent the 13 British colonies that declared independence from Great Britain, becoming the first states in the Union. The base color for the ring finger is my beloved China Glaze First Mate. I stamped the stars from plate QA17 with a random white stamping polish. My other fingers have Farmec 50 (white) as a base. I used the saran wrap or cling wrap technique with Rimmel Stand To Attention to create the design. It's sort of an abstract interpretation but I wanted to make the white and red stripes more interesting. I hope you liked this and thank you for reading. Here are the other designs for the USA theme. I love your "unorginal" idea!! It's really pretty! I hope things slow down for you soon honey. And I think the length looks great! 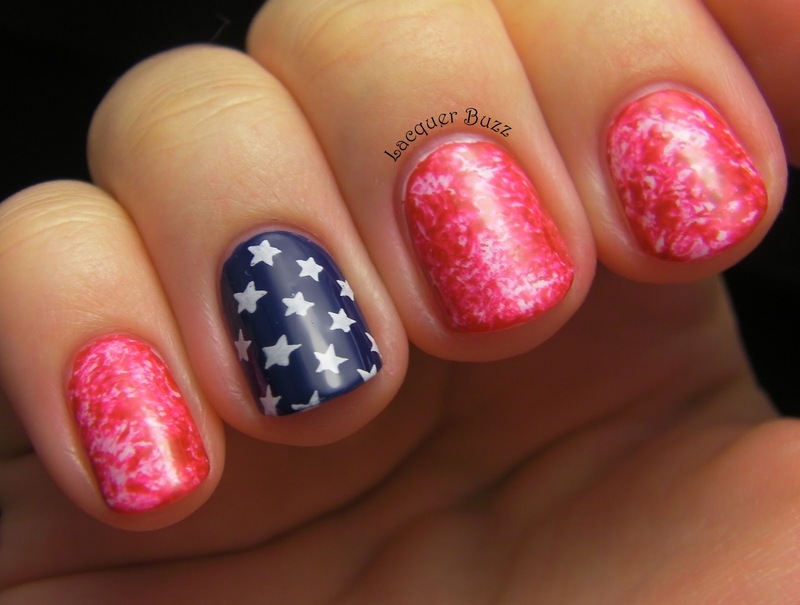 Perfect USA mani! Love the saran wrap nails! This is so cool! I love your idea and result!!! wow, Mihaela!!! I LOVE this!!!! 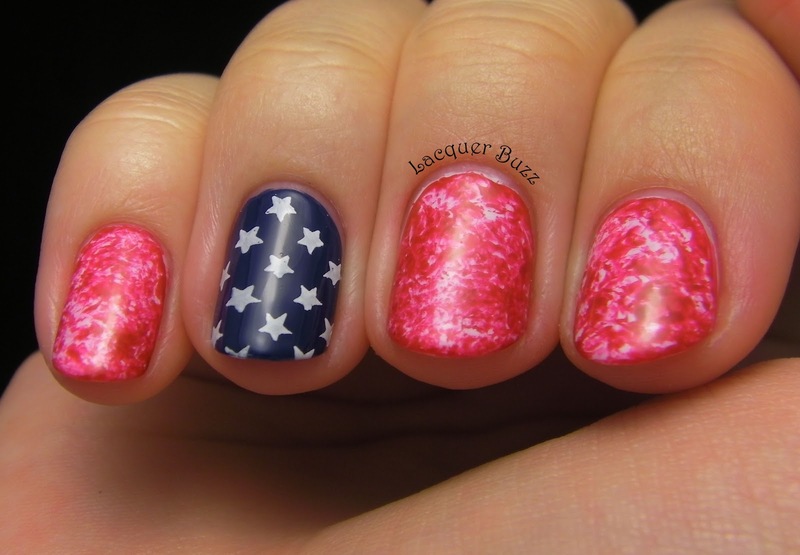 Usually you just see stripes and stuff, but I've never seen 'American' nails done with saran wrap!!! AWESOME!!! Thank you Marisa! They actually did slow down for a while. I'm glad you US girls liked this nail art! Thank you Jacqui! I'm glad you do! Thank you Gosia! I don't like stripes that much and this idea just hit me one day. I thought it would be a great way to mix red and white. I like your interpretation! 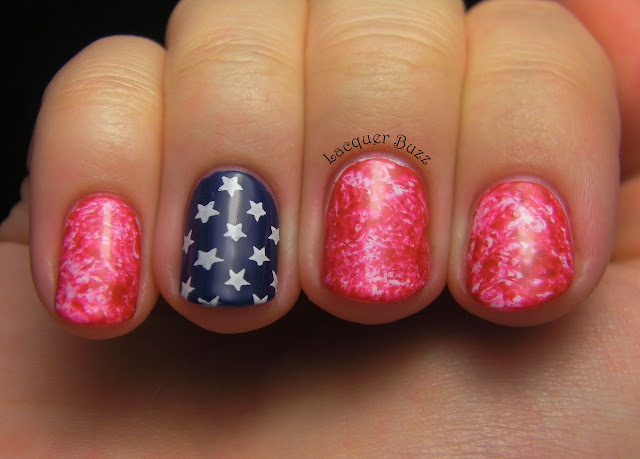 I love that you used the saran wrap instead of doing stripes and I absolutely LOVE those stars. 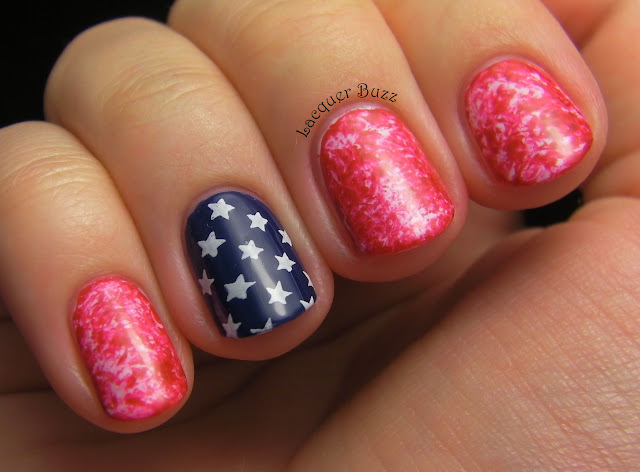 Very cool mani! Thank you so much! Stars are my favorite thing to stamp!